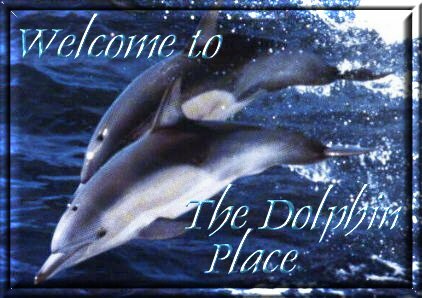 I started this page because of my deep love for the Dolphins. I have had this love for them for years and years, and as each year goes by, my love grows deeper. On this page I am just going to share information about them, my favorite pictures that I run across, some of my favorite poems that I have come across. This page is just a fun sharing page of my favorite things about dolphins, nothing made up or created by me. If I do come up with something of my own, like a poem or something, I'll let you know. So I guess you can say that I have made something up on my own! 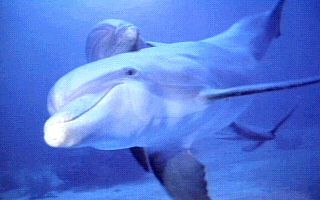 DOLPHIN, with its infectious smile and graceful, joyous nature reminds us to take a little time out to play. Most of us are so terribly busy and serious about our lives that we have little time to enjoy them. DOLPHIN is our ally in remembering how much fun life can be if we relax, splash around a little, and move for the sheer pleasure of it. A warm tub is a good place to start having some watery play, but even non-aquatic movement can be a tremendous source of fun. It may be a good time to take a dance class and shake those winter blues away. Its also good to remember that Dolphins are deeply community-oriented. Group dancing, like Square or Contra, can be a delicious way to explore the deep pleasures of a group movement experience. This Wildlife and Fantasy Ring site is owned by shan. Join the Wildlife and Fantasy Ring? Protect Ocean Wildlife and Keep Tuna Dolphin-Safe! to help save millions of dolphins from being killed! Did you know that ocean wildlife is in jeopardy? are all falling victim to the nets and lines of tuna fishermen. on dolphins to be labeled "dolphin-safe." endangered leatherback turtle have declined by 78%. are vulnerable to pressures from fisheries and human exploitation. to name a few, are all being adversely affected.